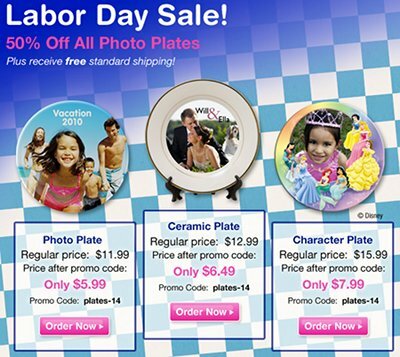 SeeHere is offering 50% off Photo Plates plus free shipping for Labor Day Weekend. I think these would be great for your gift closet. Use the code plates-14 at checkout and you should get your 50% off and FREE shipping.